Pork chili…. 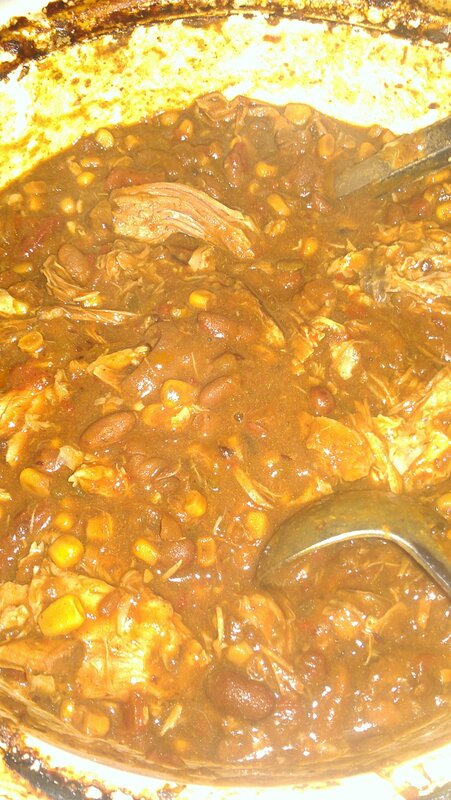 Dried beans, pork shoulder, corn, onions, peppers, spices, tomatoes, green salsa, water…. Amazing!